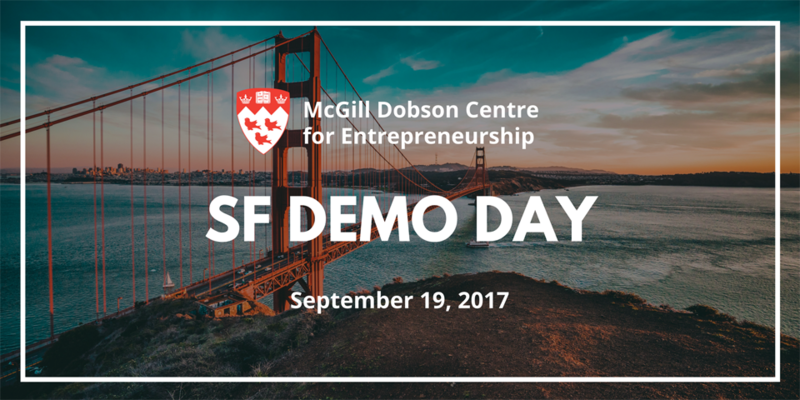 McGill Demo Days 2017 is back and bigger than ever! 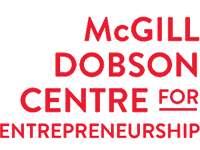 Join the McGill Dobson Centre for Entrepreneurship as we take the best McGill startups from the McGill Dobson Cup and the McGill X-1 Accelerator on the road to pitch their companies and engage with the global McGill alumni community of successful entrepreneurs, investors and VCs. The goal is to highlight the best of entrepreneurship and innovation at McGill, while also connecting McGill startup founders with potential investors and mentors with the hopes of raising venture capital financing. As the McGill X-1 Accelerator barrels towards a strong finish, Demo Days are top of mind. On September 12, you can come cheer on the home team, right here in Montreal. Our first away game is in Boston, known for its world-class research institutions. 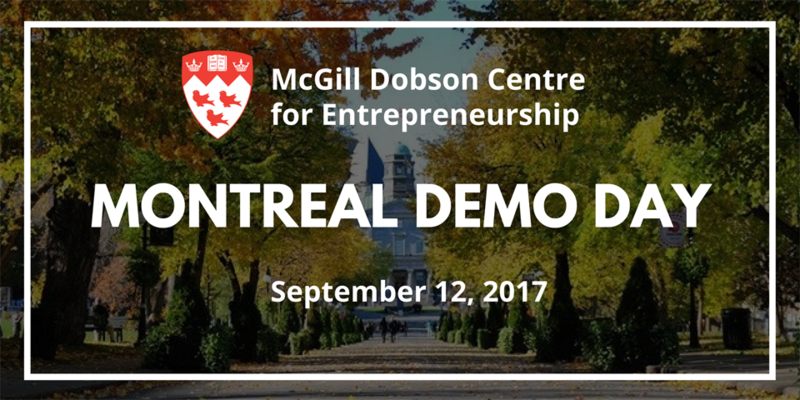 Join us, along with Boston-based McGill Alumni to celebrate McGill's leaps in entrepreneurship and innovation. San Francisco is to entrepreneurs what Los Angeles is to actors. 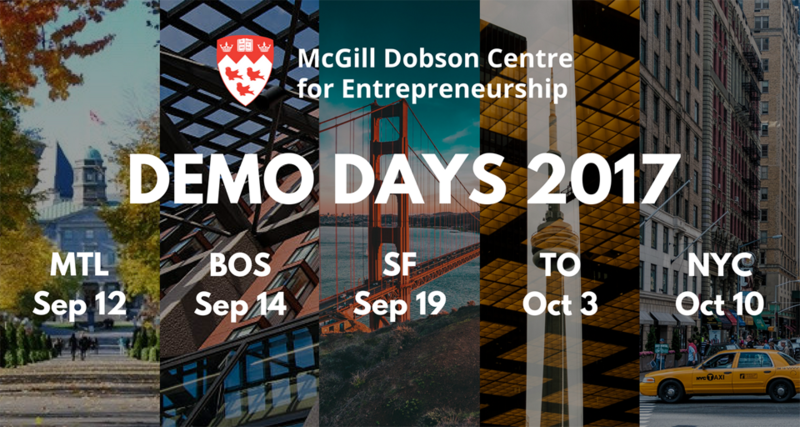 Join this year's McGill X-1 cohort, Dobson Cup winners, world-class entrepreneurs, and San Francisco-based McGill Alumni to support Canadian entrepreneurship and innovation. 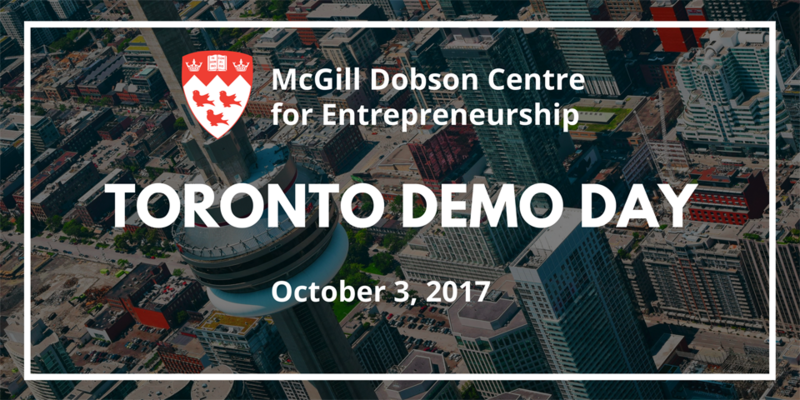 McGill Alumni and the McGill Dobson Centre for Entrepreneurship present Toronto Demo Day, showcasing student startup companies and dynamic McGill entrepreneurs, while highlighting programs and support for entrepreneurship at the University. 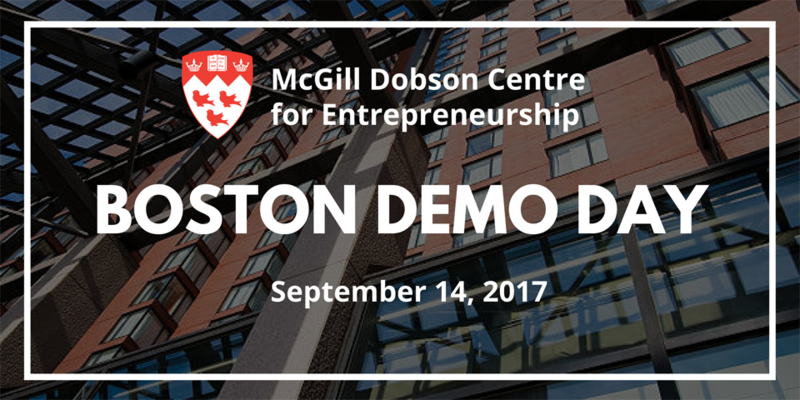 Join Toronto alumni for an evening of pitches from innovative startups fostered by the Dobson Centre for Entrepreneurship, McGill’s hub of entrepreneurial activity, and McGill’s X-1 Accelerator, an intensive 10-week summer program designed to accelerate startups towards investment readiness and launch. Our last stop on our Demo Days 2017 tour is New York City! 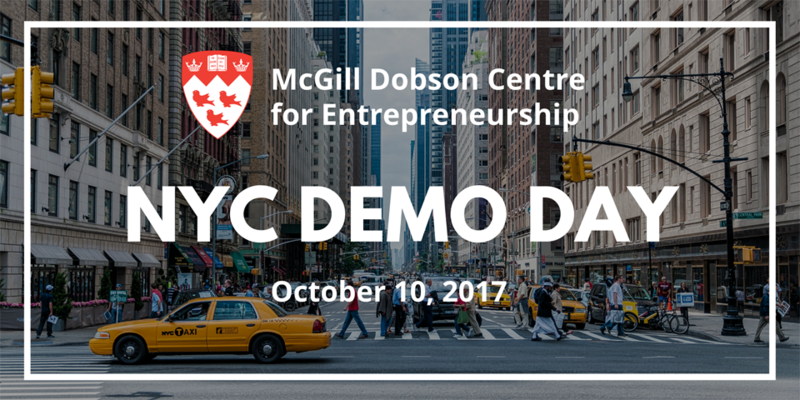 Join our McGill X-1 startups, Dobson Cup winners, world-class entrepreneurs, and New York-based McGill Alumni to support for Canadian entrepreneurship and innovation.